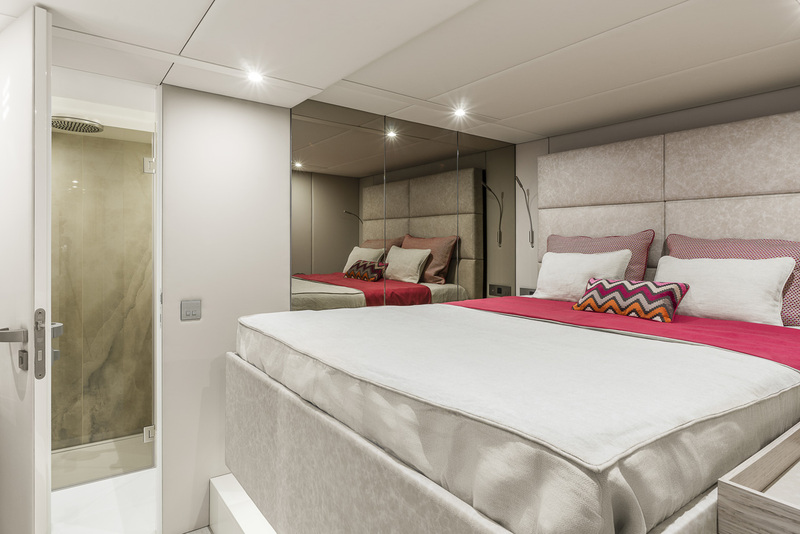 Measuring 20.73m (68’), CHRISTINA TOO is a beautiful modern power catamaran, offering deluxe interiors with contemporary design. 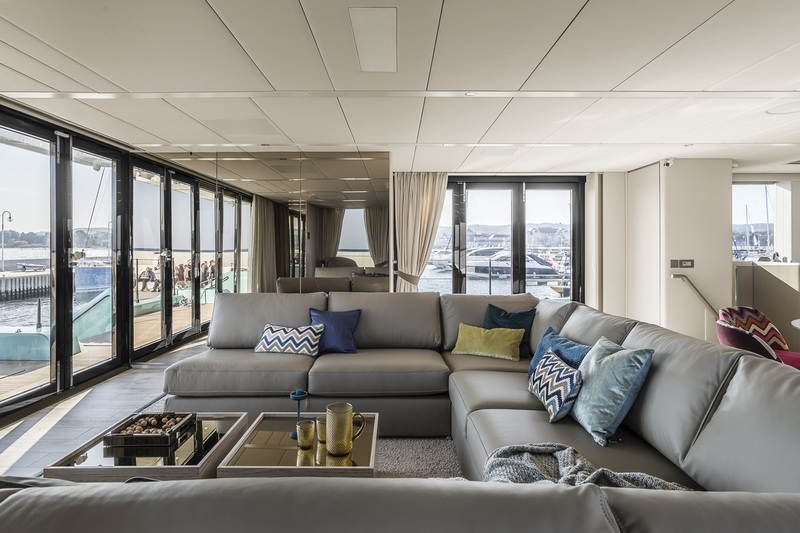 She was built by Sunreef Yachts in 2017 and offers accommodation for up to eight guests in four cabins. 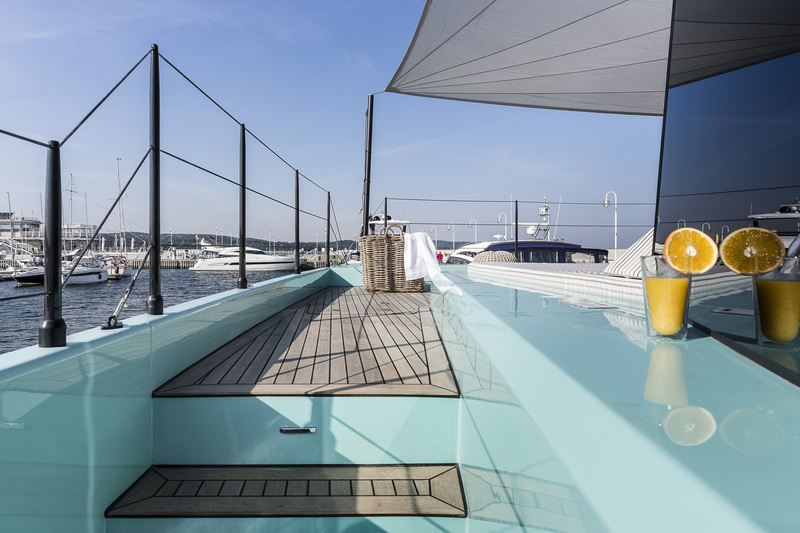 There is a crew of three offering exceptional service during your entire crewed charter vacation. 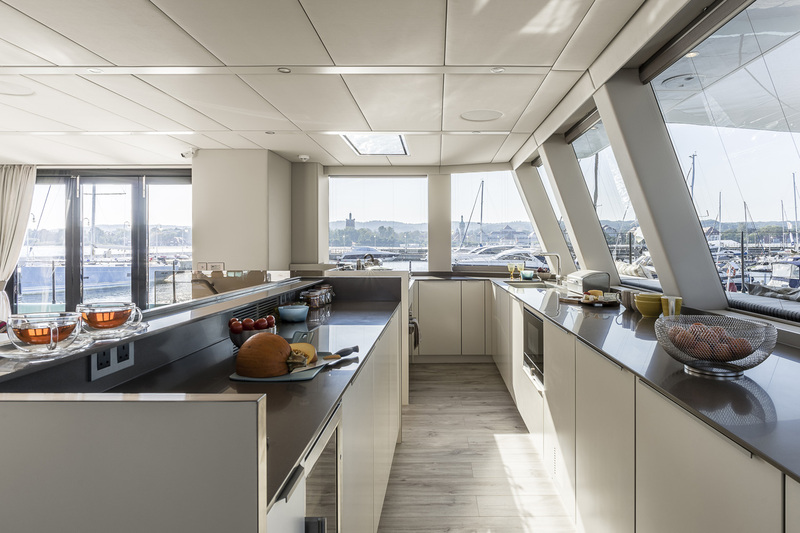 The main deck aft provides a terrace directly outside the sliding doors to the main deck aft, and steps lead down each hull for easy access into the water. 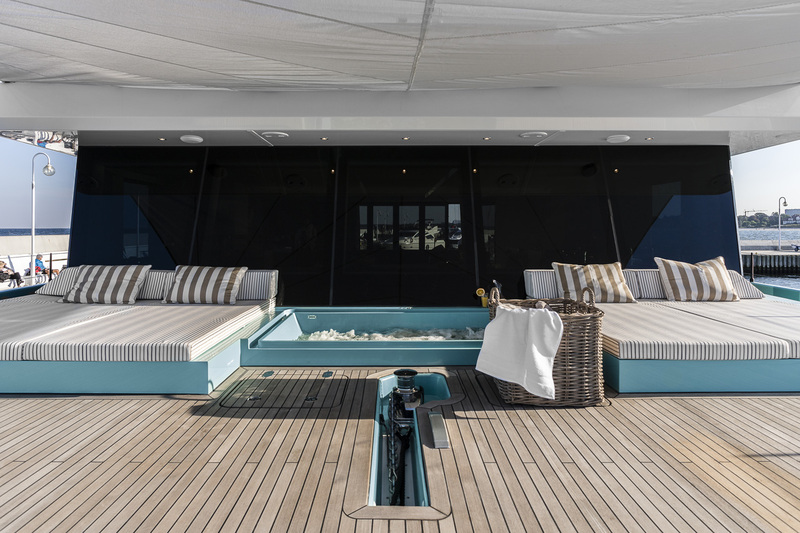 The foredeck has the addition of a central Jacuzzi integrated into the deck beneath the flybridge overhang. 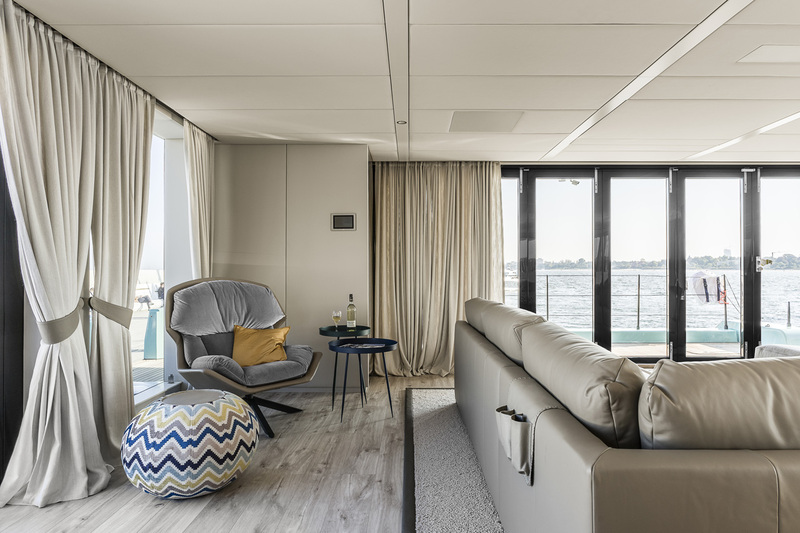 On either side there is an abundance of sofa-sun pads, and when not in use the Jacuzzi can be covered for use as another sofa for taking in uninterrupted aft views, while a canvas shade ensures all-day outdoor use. 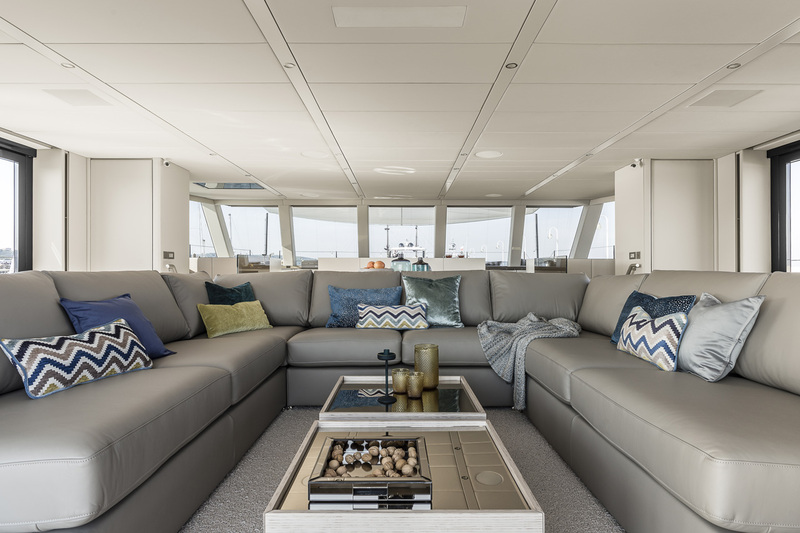 On the spacious flybridge, the forward section has a spread of sun pads with the helm station behind. 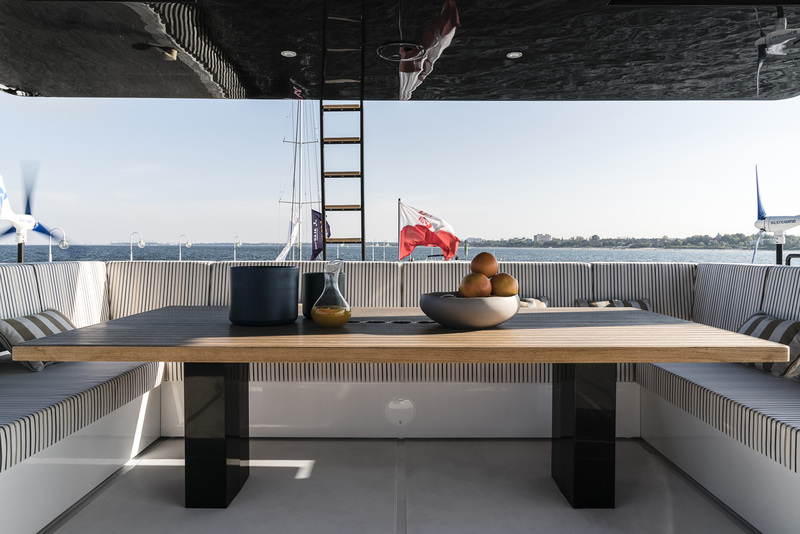 The starboard aft corner is fitted with a bar and barbeque to serve guests seated at the large alfresco dining table surrounded on three sides by a plush sofa. 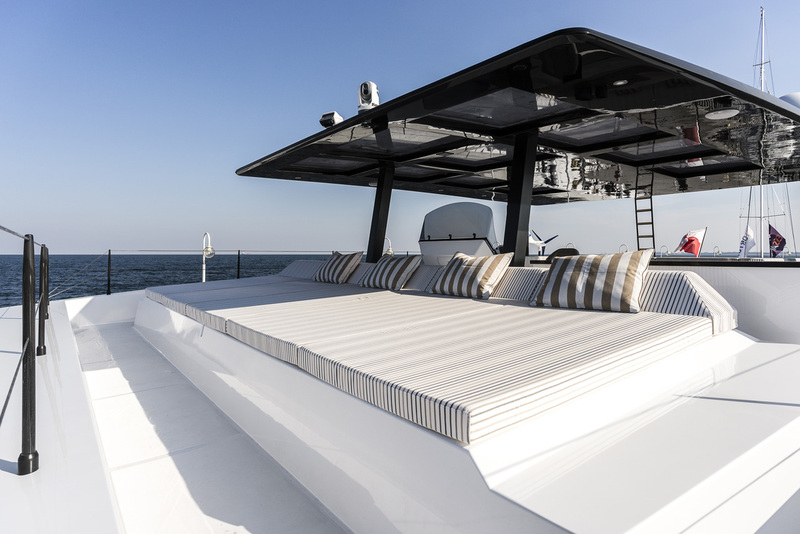 The hardtop provides shelter from intense sunshine and drizzle. 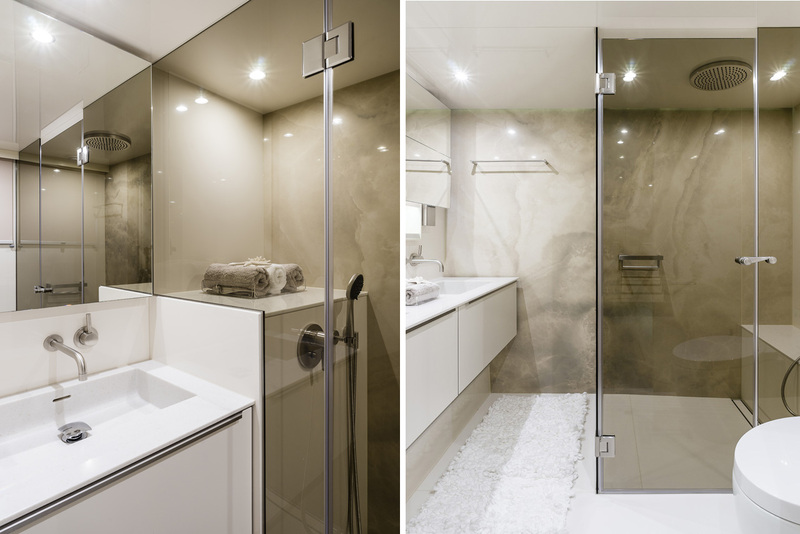 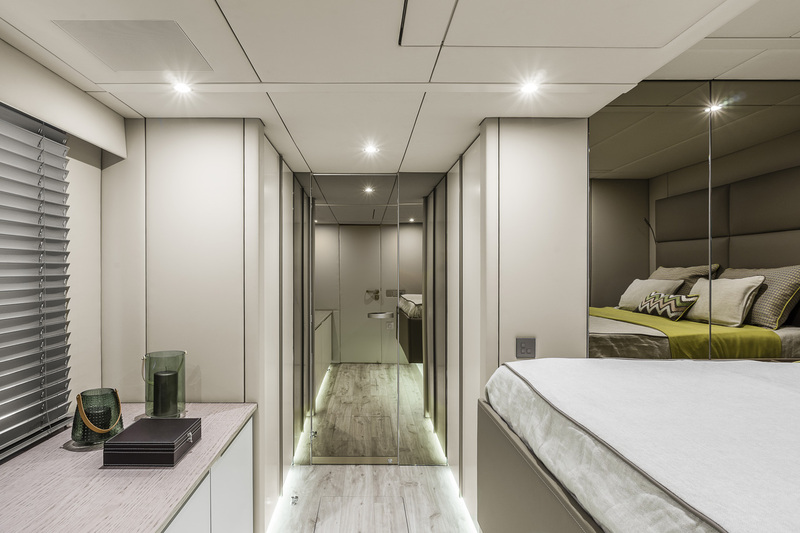 Both the port and starboard hulls contain a forward and aft double cabin, all of which come with a large mirror, a large wardrobe and an en-suite bathroom with a generous shower. 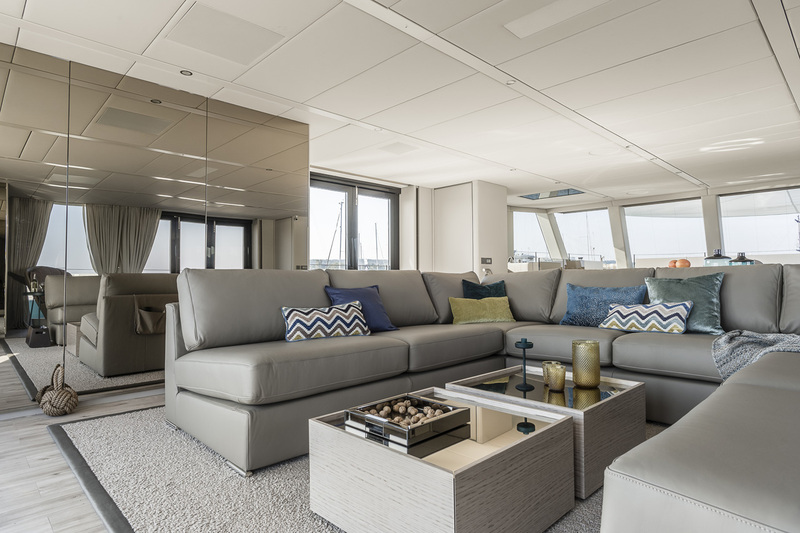 Central staircases lead up to the salon, which is flooded with natural light through the folding glass doors to port and starboard. 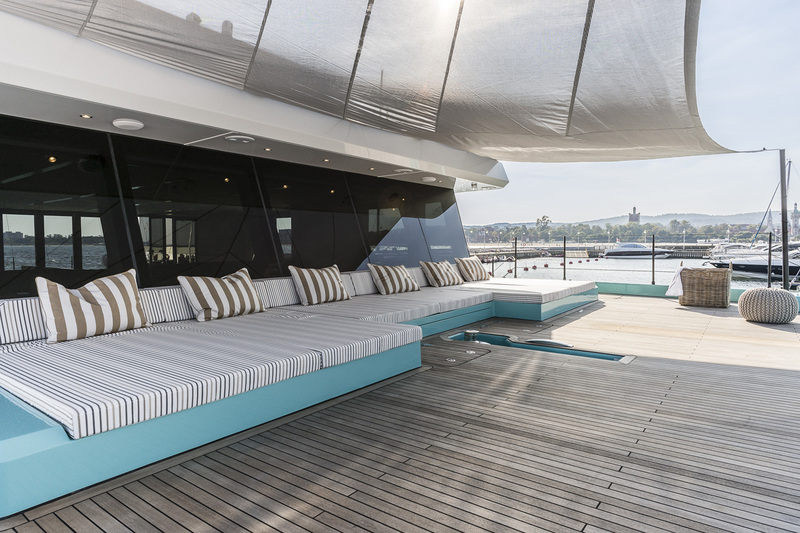 The aft also features a glass sliding door for a more alfresco experience within the interior. 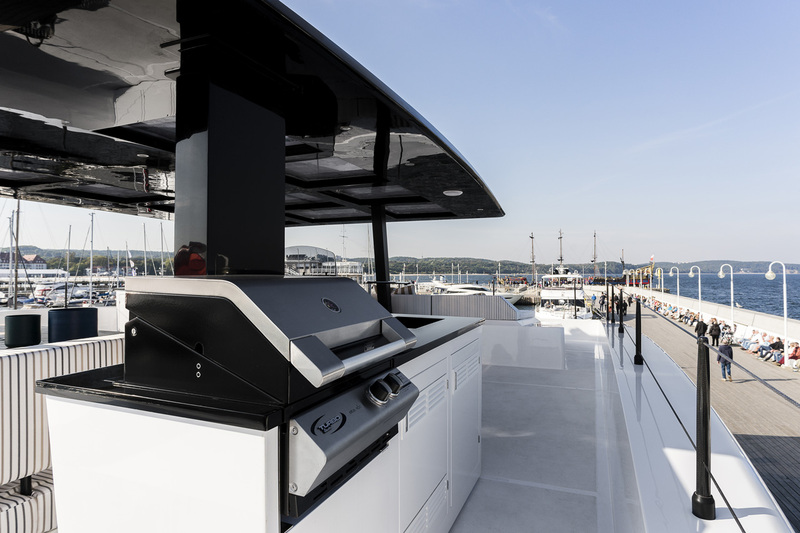 The forward section is dedicated to the galley with the helm station placed in the forward starboard corner. 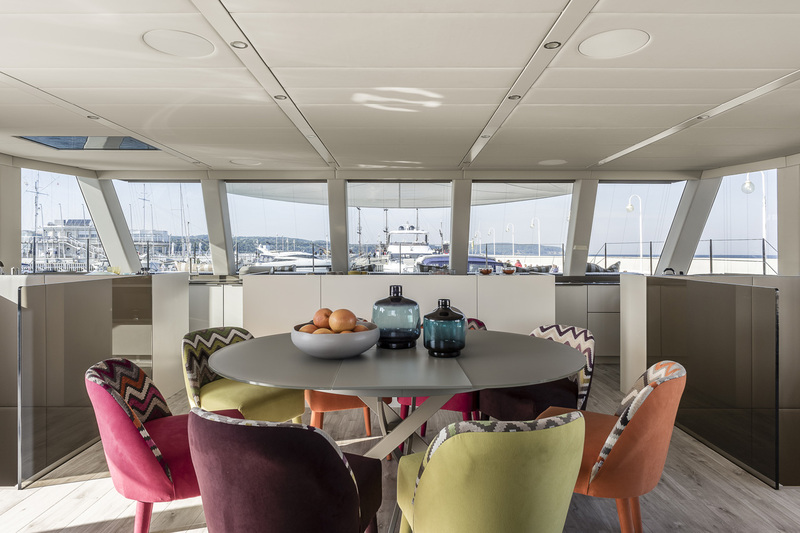 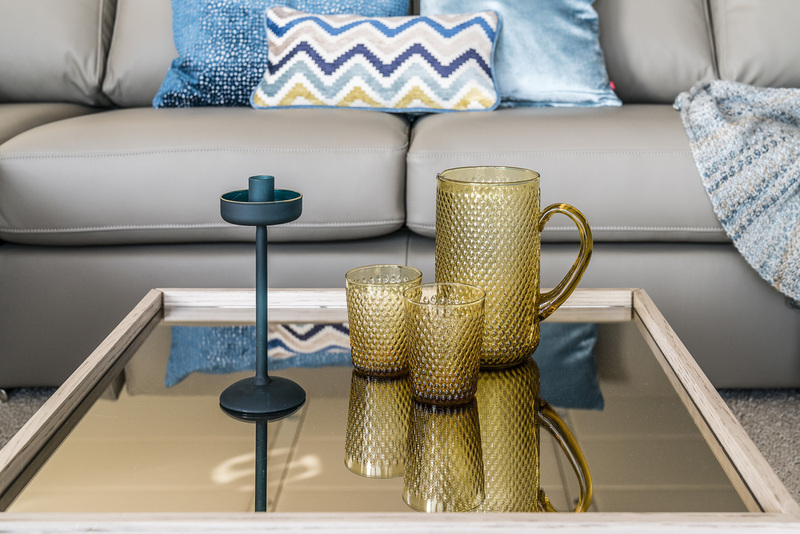 A large circular formal dining table seats up to eight guests and behind a C-shaped sofa around coffee tables allow guests to rest and take in the aft views. 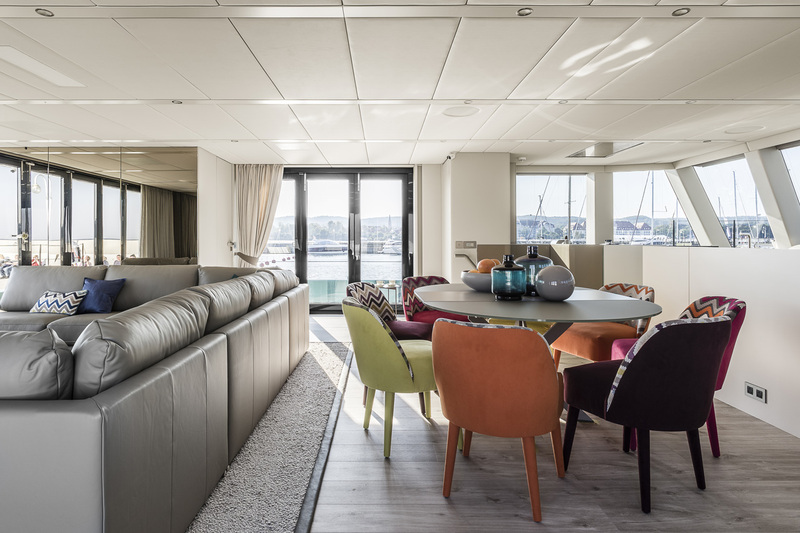 The aft starboard corner has a plush armchair where guests can unwind with drinks placed upon the nestled tables. 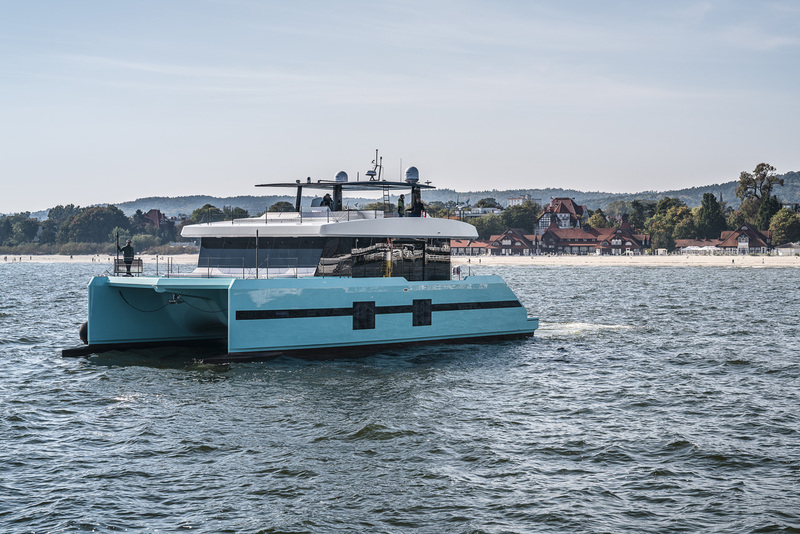 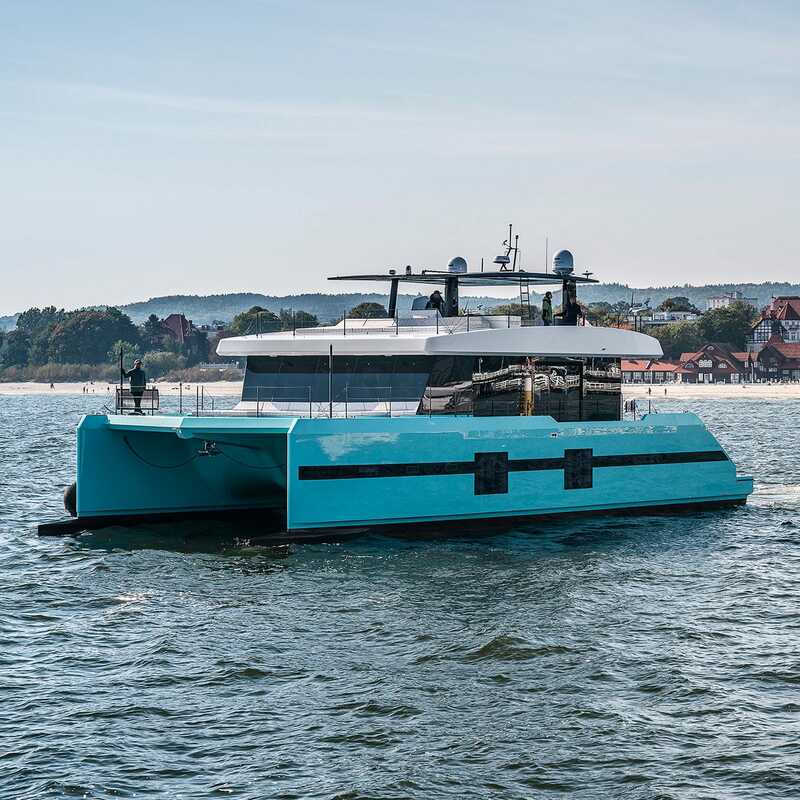 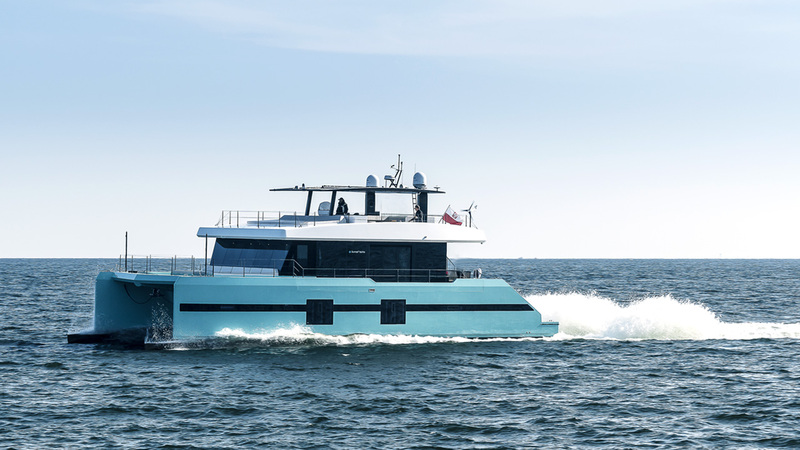 A pair of 588kW engines producing 800 HP each allows for a top speed of 12 knots, a cruising speed of 10 knots and a range of 2,800 nautical miles. 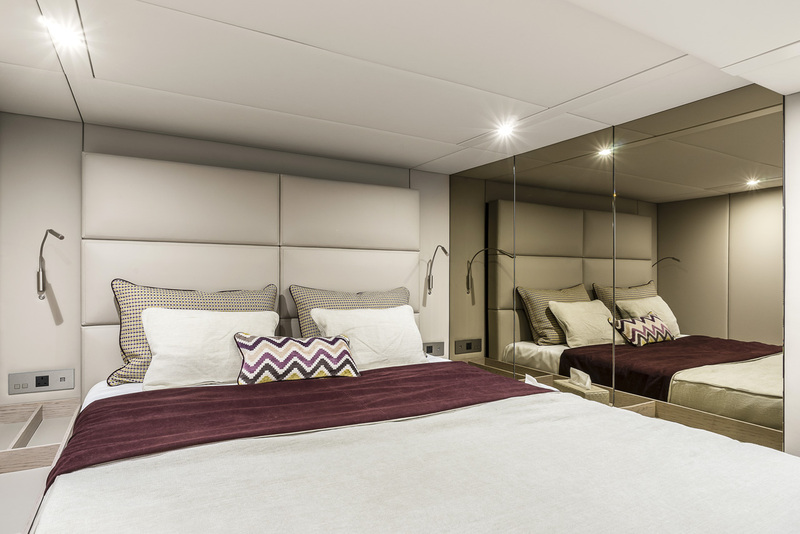 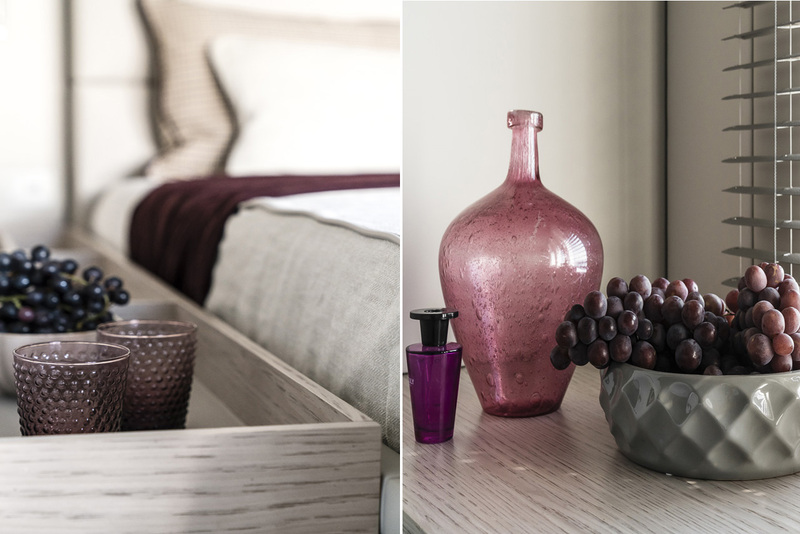 CHRISTINA TOO is accommodating up to 8 guests in 4 ensuite double cabins. 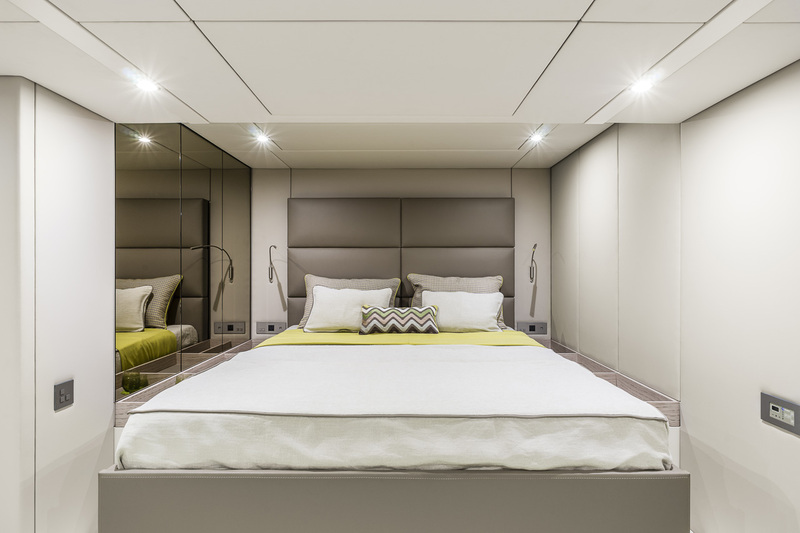 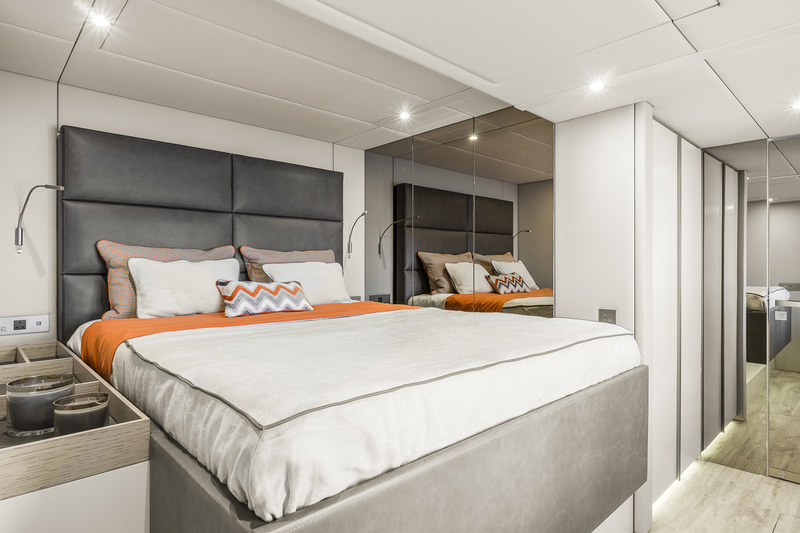 Each cabin is has been fitted with 160 x 200cm bed, air-conditioning with private control, plugs, hairdryer and HEOS surround 5.1 system.